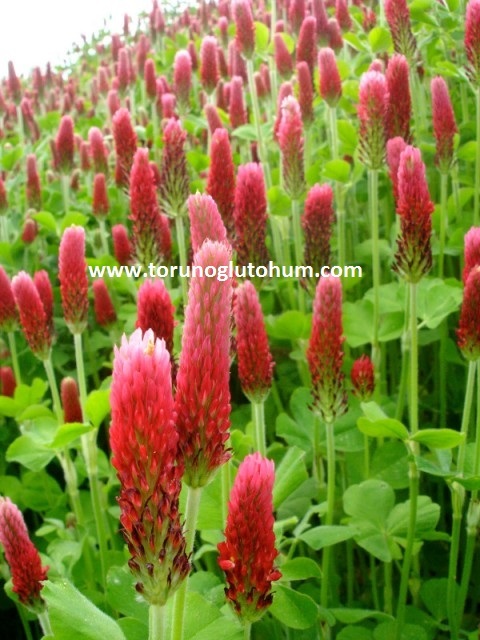 Trifolium Incarnatum is a type of clover known as red clover. The triple glare that opens the blood red leaves the audience amazed. The red triple nutrient feature is a high bait plant. 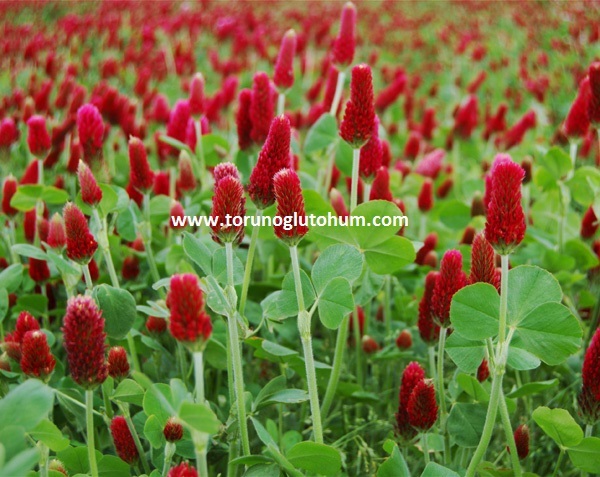 Red clover is a kind of single-year feed crop. Red clover reaches 50-100cm easily. 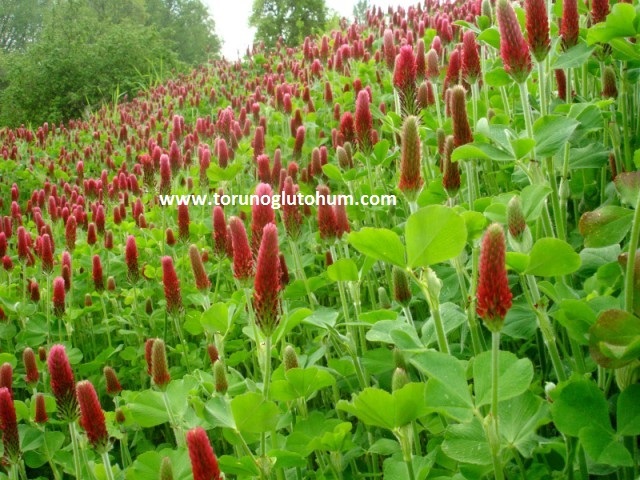 Red clover (trifolium incarnatum) is planted 4-5 kg to a decare. 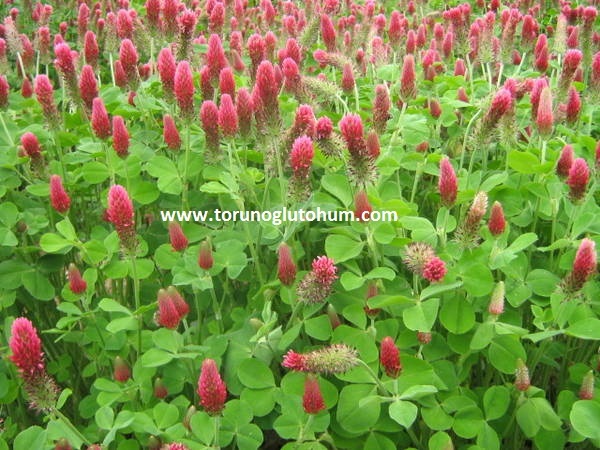 Trifolium incarnatum can be planted alone and as a mix with other feed plants. Red clover is sowed in the autumn time. Early spring planting occurs in harsh climate regions. Grass and sowing is a suitable bait plant. All animals love eating it. Very valuable dry grass is harvested from Trifolium incarnatum. 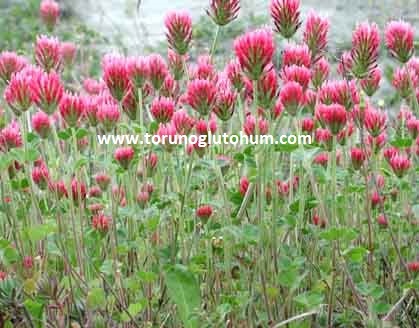 Torunoğlu Seed has spent a great deal of effort in introducing and planting Trifolium incarnatum fodder plant in our country.